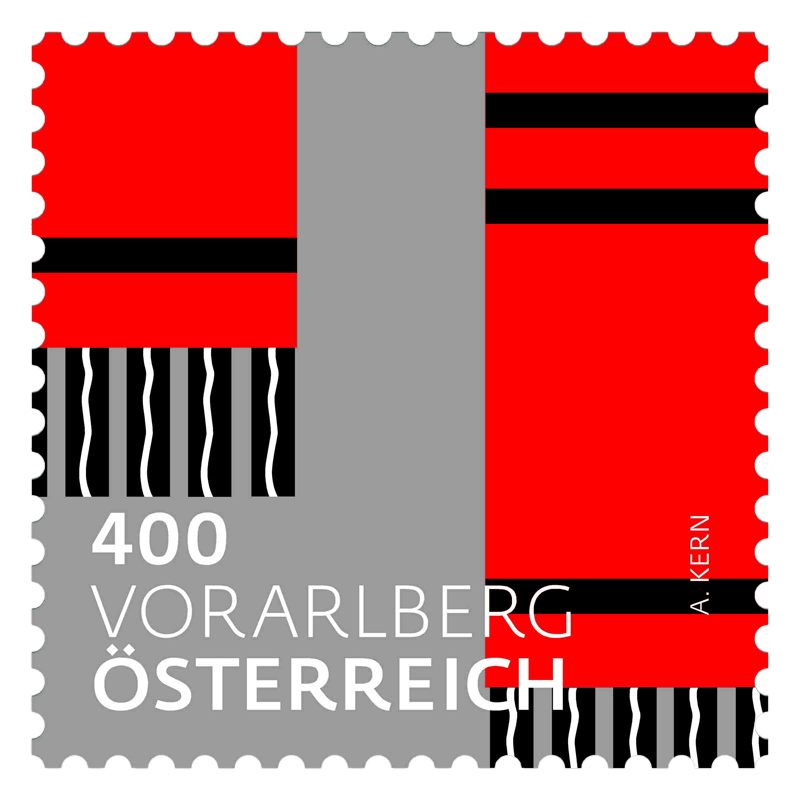 What could be a more suitable means to represent the federal provinces of Austria on a stamp in graphic form than to use the already extant ancient graphic codes? 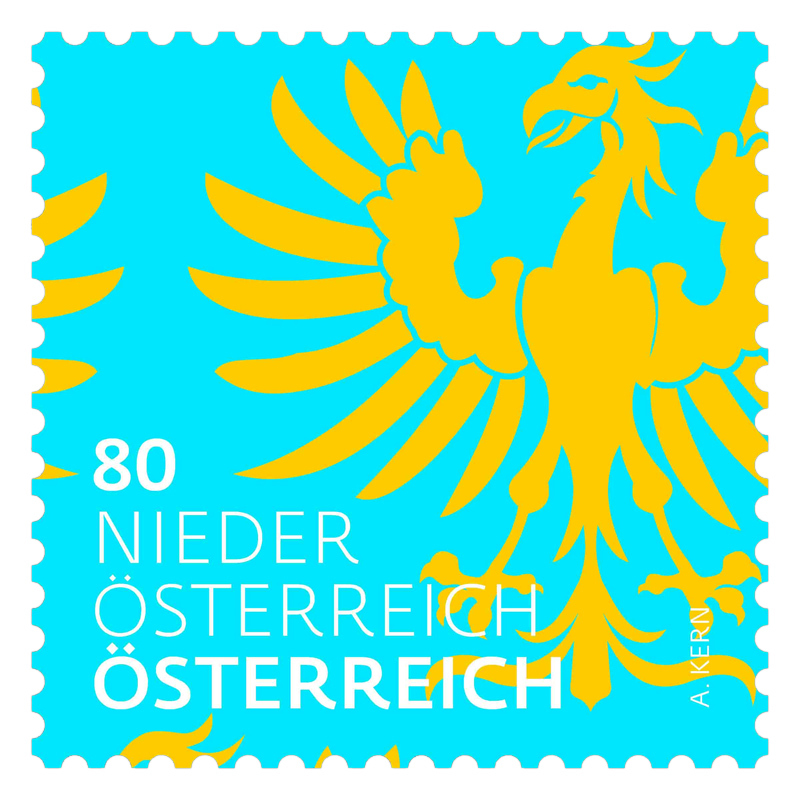 The coats of arms of the nine federal provinces of Austria, which can trace their origins back to the 12th century, when, during the many battles that took place in the Middle Ages, the heralds, themselves dressed in a tabard visible from afar, had the job of distinguishing friend and foe by their coats of arms and flags and reporting on the outcome of the battle (Peter Diem). 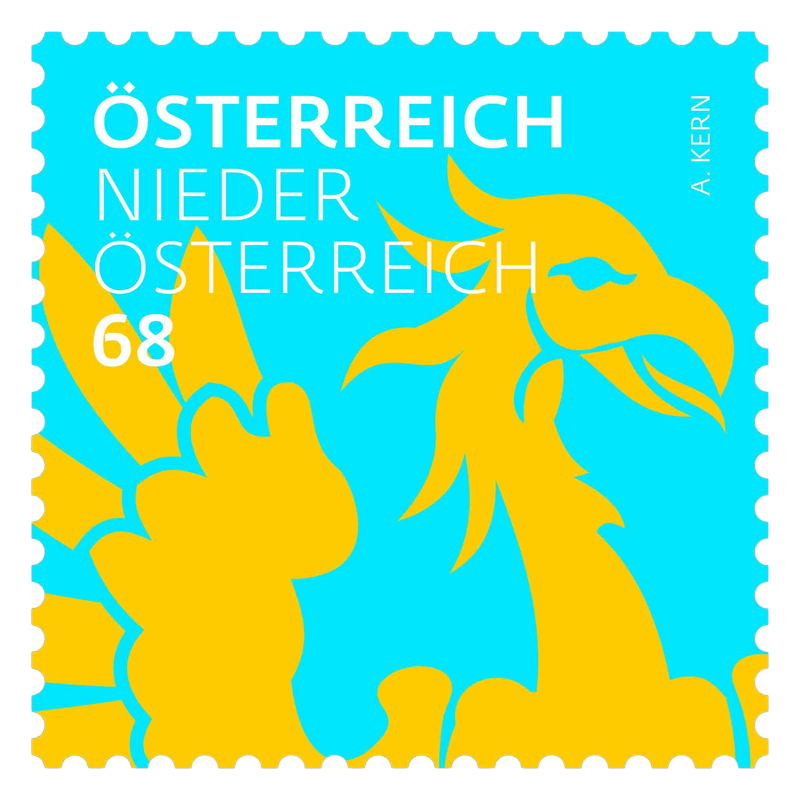 To reproduce these coats of arms 1:1, as was last done on the commemorative stamp issued in 1976, for example, would not do justice to today's modern Austria. 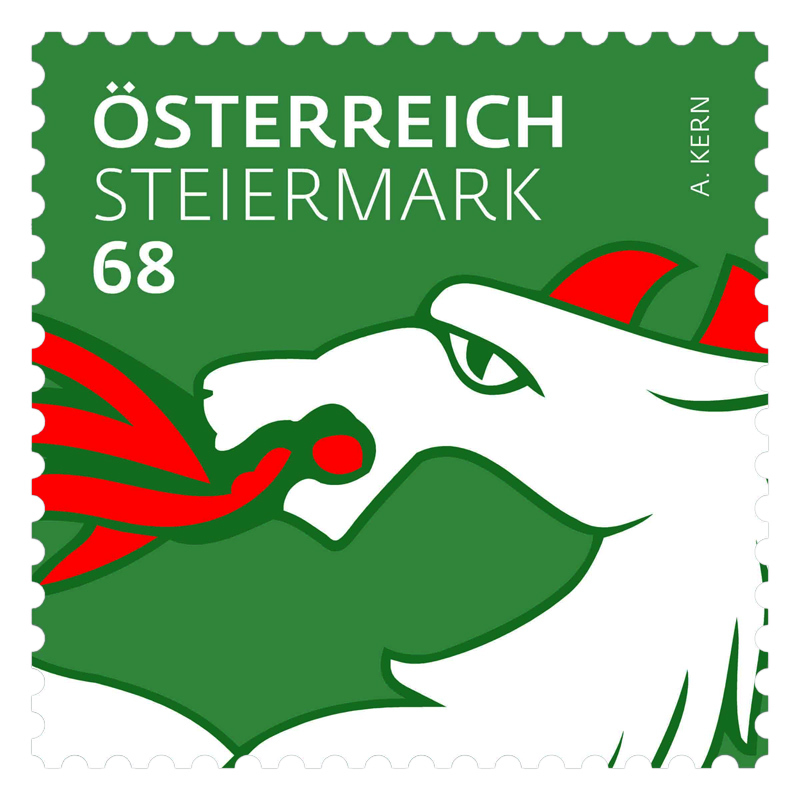 The definitive stamp series "Austria's heraldry" shows the coats of arms of Austria's provinces in a graphic reproduction. 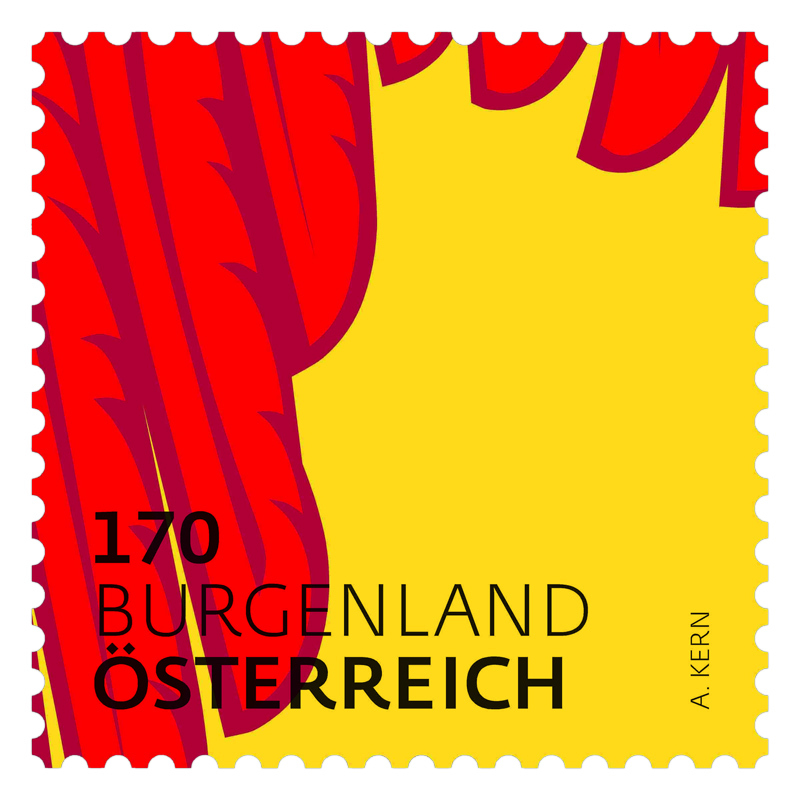 The designer for this series, Anita Kern, chose sections which enable her to give unusual views and insights. 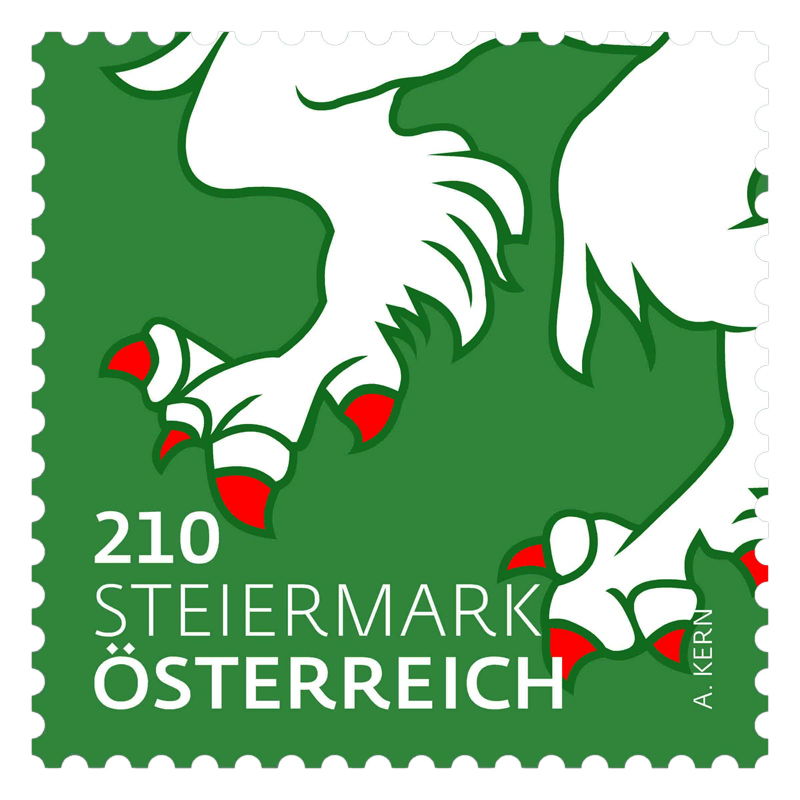 As in a close up, she "zooms in" on the coats of arms in order to make unfamiliar details visible and, at the same time, to do justice to this stamp series. This opens up a wealth of images and new perspectives. 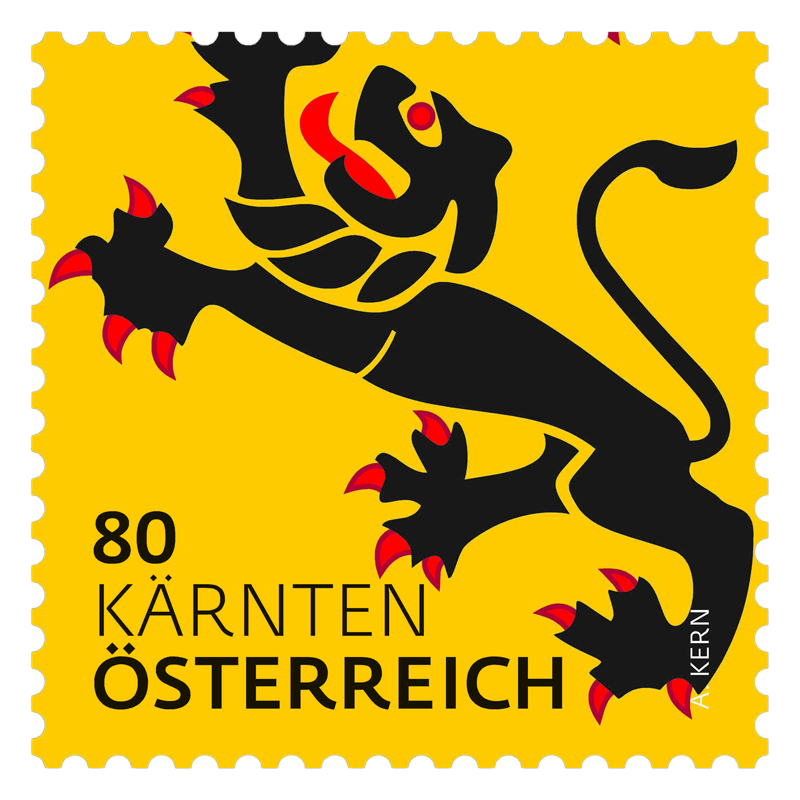 So, for example, on a green 68 cent stamp, one sees the red-horned Styrian panther's head spewing out fire, or on a gold (yellow in print) 25 cent additional stamp, the red-clawed black lion's paw from the coat of arms of Salzburg. 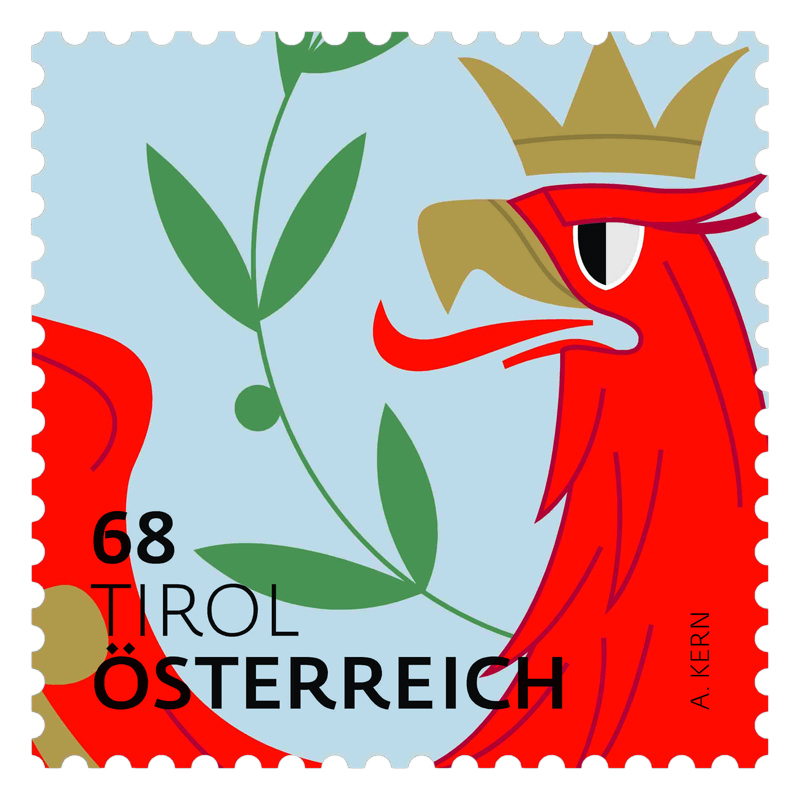 Whether it be heraldic figures or the Montfort banner of Vorarlberg, with their strong colours and shapes all of the details from the coats of arms have a mostly ornamental, sometimes geometric effect. 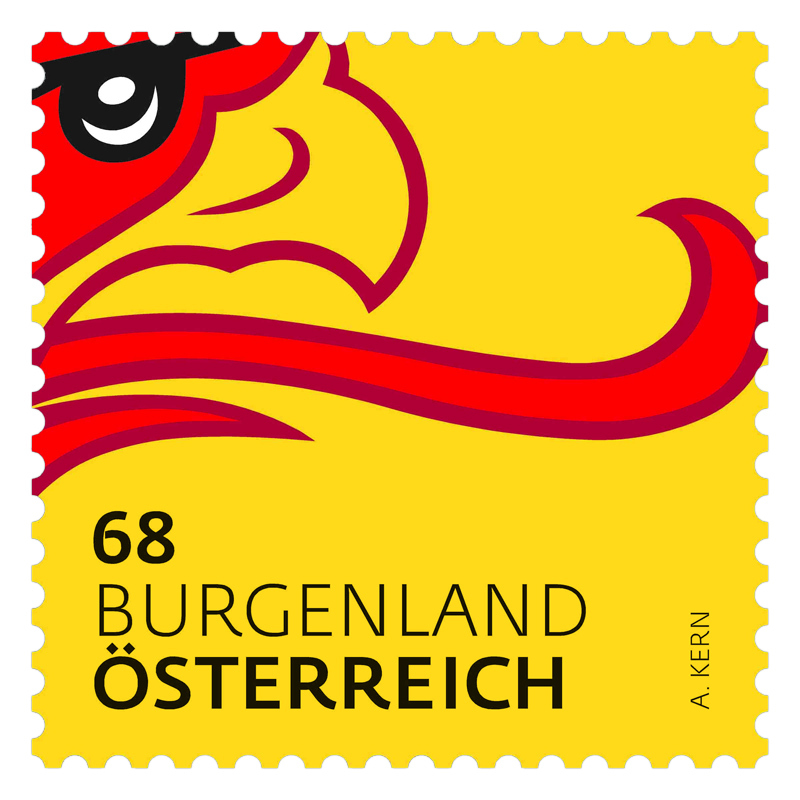 The original shapes of the elements from the coats of arms have not been changed, and the correct heraldic colouring, the "tinctures" and "metals", have been retained. 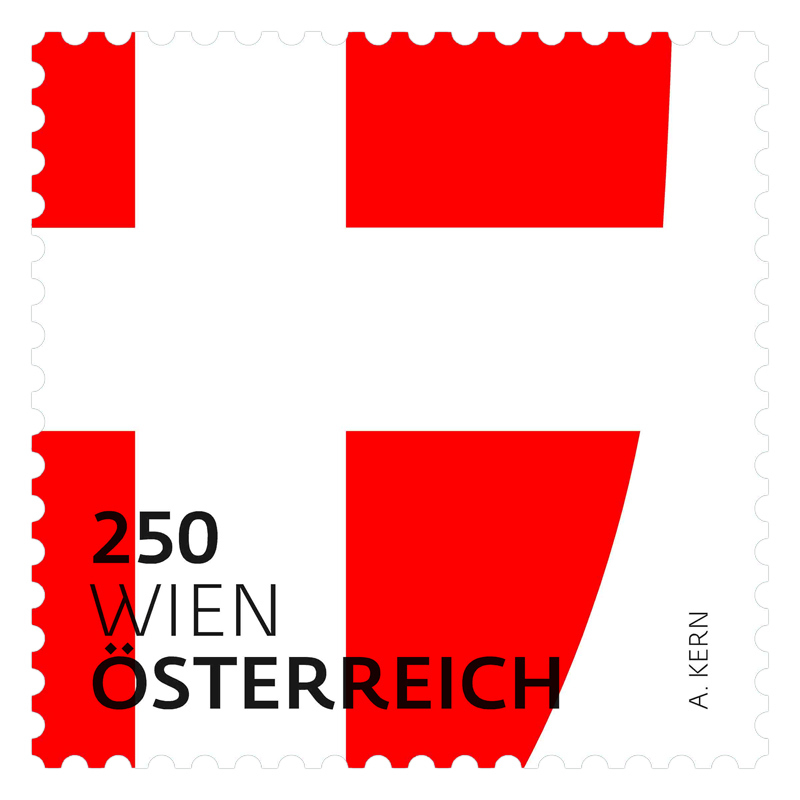 By contrast, in the shades of the colours the overall effect of the stamp as a printed item was taken into account. 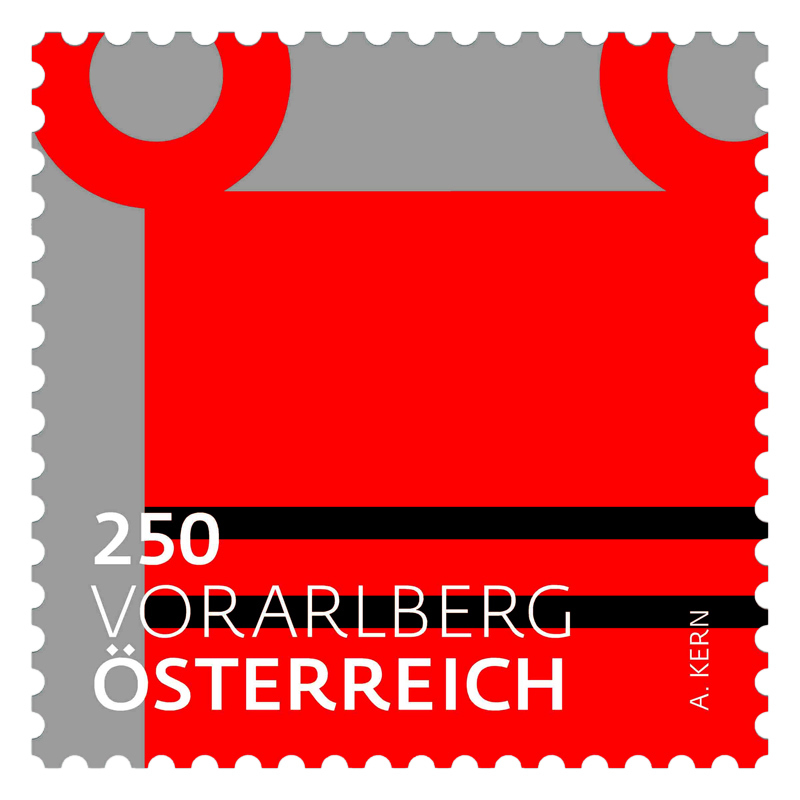 The coats of arms, which hail from the feudal traditions of Europe, have been heavily influenced by the Habsburg era and, in addition to historic and geographic features, also depict religious motifs such as the Montfort church flag depicted in the coat of arms of Vorarlberg. 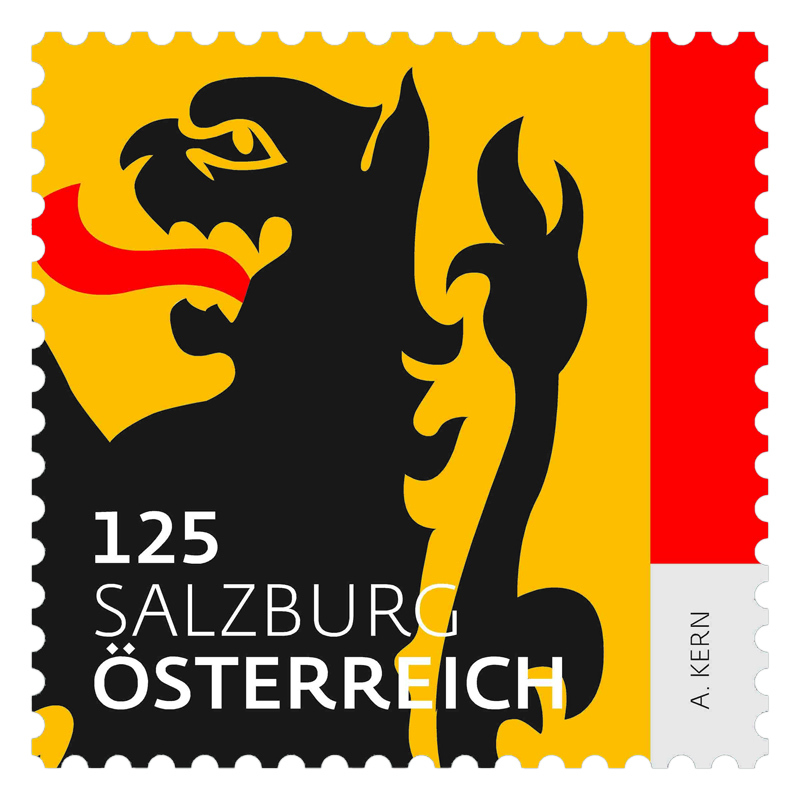 The provincial coats of arms can generally be traced back to those noble families which, by appointment of the Emperor, were the rulers and feudal lords of the particular province. 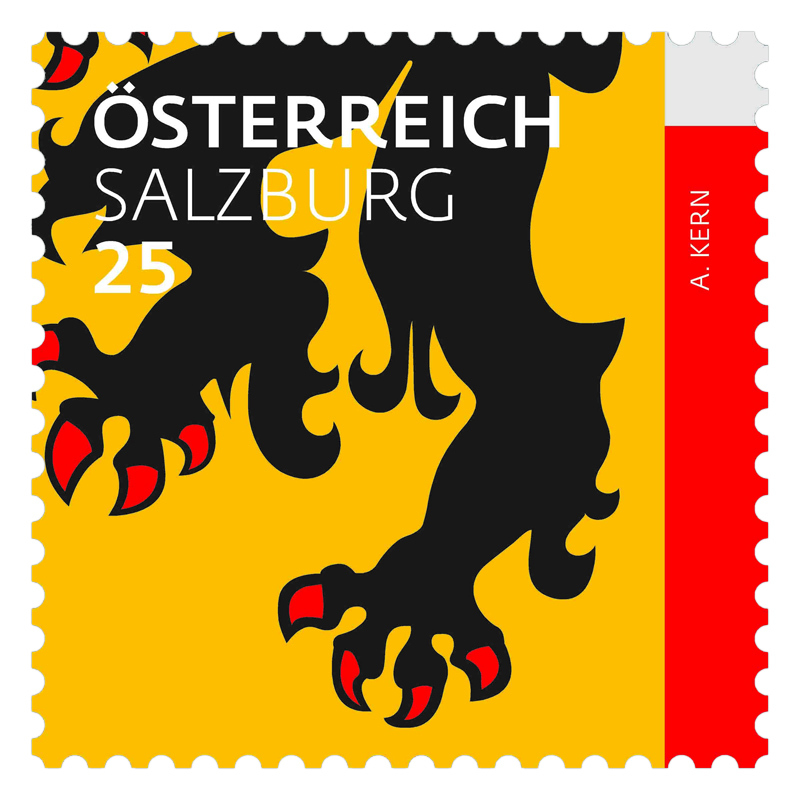 After the fall of the monarchy in 1918, and again in 1945, the coats of arms were either redesigned or changed. 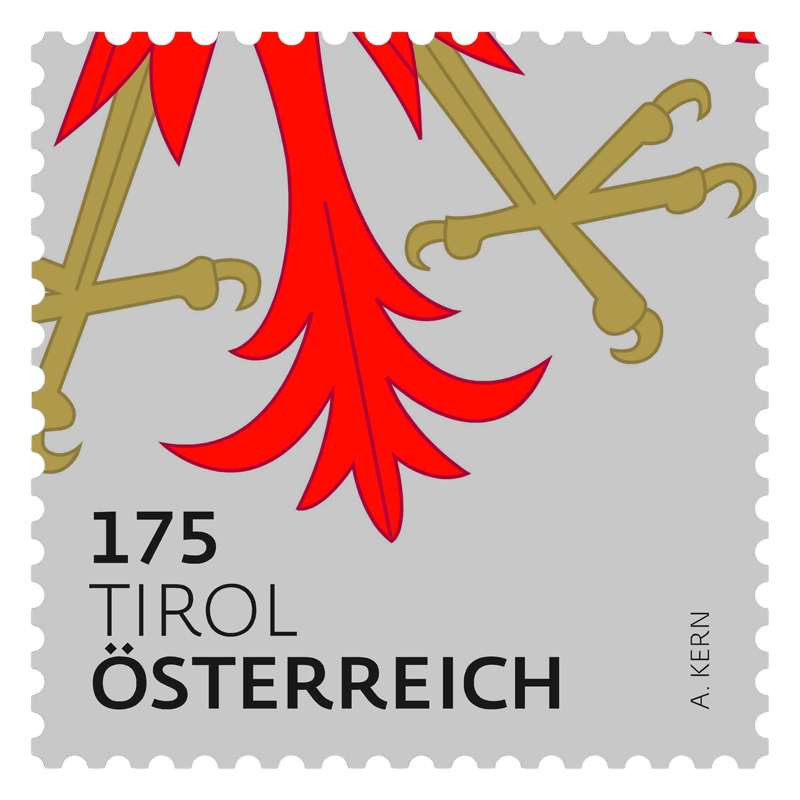 Taking account of this cultural heritage, visual symbols of feudalism such as the imperial eagle, prince's and duke's crowns, ermine and knight's helmets for tournaments have been retained in the Republic of Austria to this day. However, through the "zooming in", seeing them through an imaginary magnifying glass, these elements and what they signify have been reclaimed. 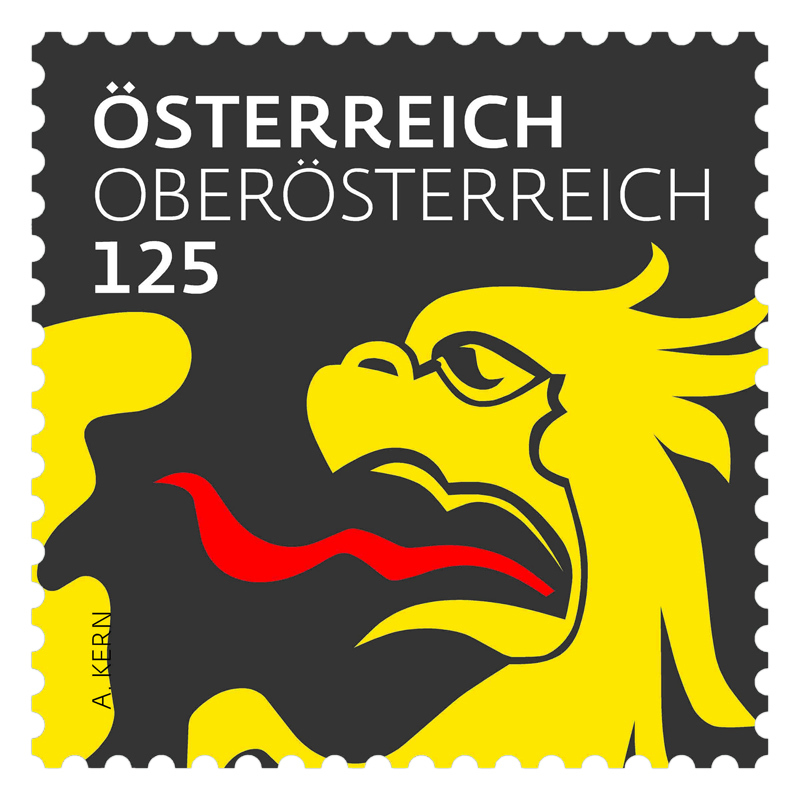 The names of the individual stamps are made up from a combination of the heraldic designation of the heraldic figures depicted and the name of the relevant federal province. 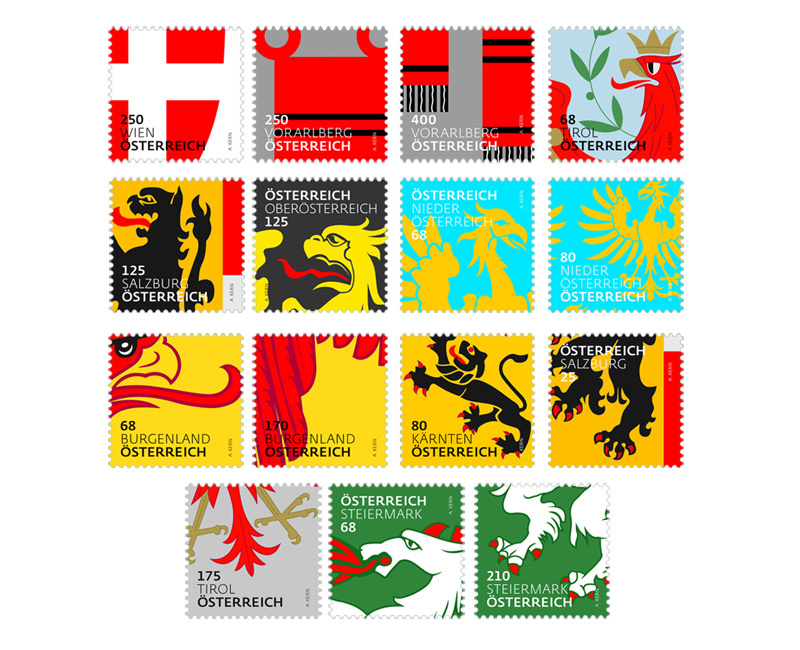 This naming system both helps the viewer to attribute the elements to the coat of arms as a whole and teaches the vocabulary of heraldry.